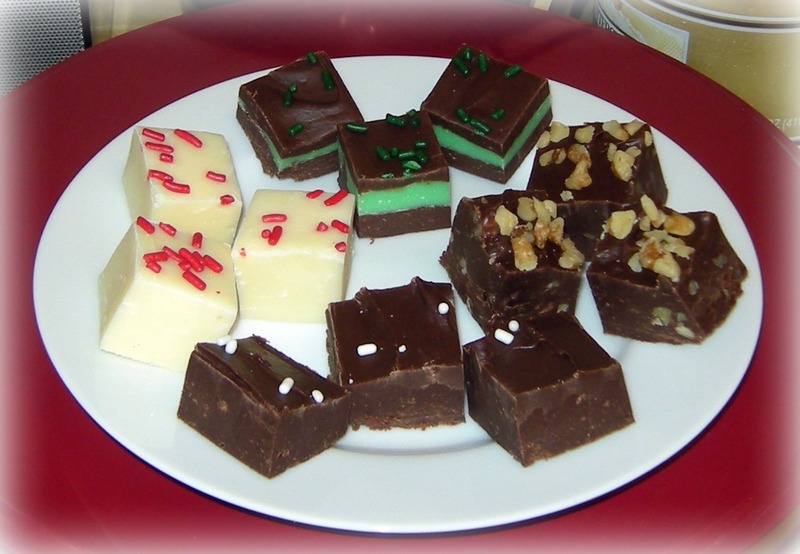 This past weekend, I made 4 different varieties of fudge to give as gifts this year. I like this gift idea because it’s holiday-ish, plus fudge is good and easy, AND JoAnn’s always has a 50% off sale on lots of cute tins for cookies, candy, etc. I kept the varieties pretty simple since I am giving this away and I don’t know what people might like (except my grandparents – I know they like chocolate with nuts). Here are the embarrassingly simple recipes I used. I made a half a batch of each kind and altogether it filled 2 8×8 dishes (about 4lbs). 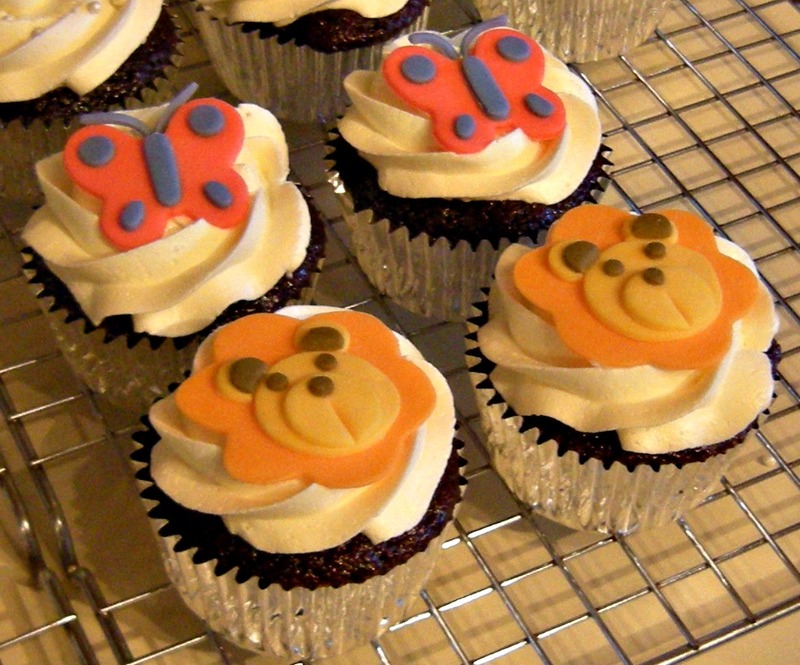 My neighbor, Megan, asked me to make some cupcakes for her in-law’s 39th wedding anniversary. I was happy to take this on for a couple reasons. 1) I don’t get to bake much these days but I’d like to. 2) It was a relatively simple order. 3) No stressful drive to deliver the order hoping nothing falls over in the car!! 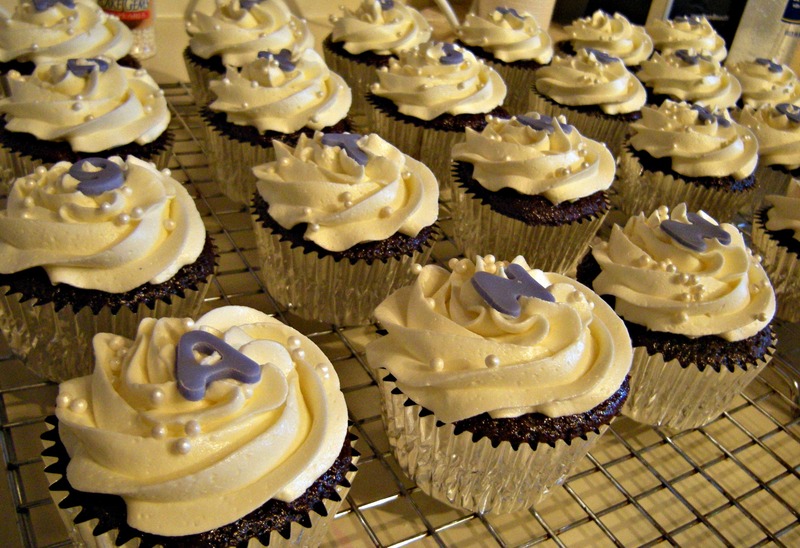 Megan asked for 2 dozen cupcakes: chocolate cake with almond buttercream icing. She wanted pearl decorations and letters on each cupcake to spell out “HAPPY 39TH ANNIVERSARY”. I made a batch of chocolate cupcakes using Hershey’s recipe and it came out to a perfect 24. 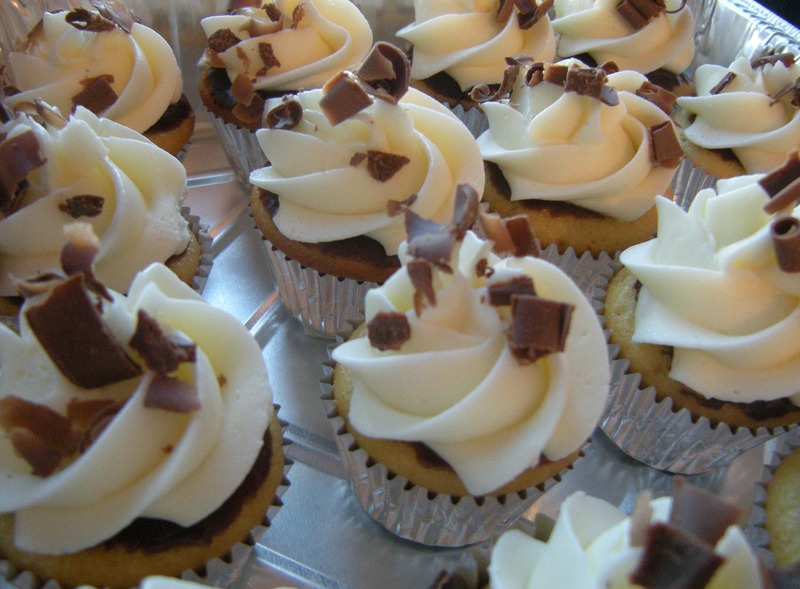 I made up 2 batches of buttercream icing and I replaced the vanilla extract with almond extract. I cut letters out of fondant that I colored purple and one went on each cupcake. Since I had 4 extra cupcakes (to make a round 2 dozen) Megan asked that I make 2 each for her niece and nephew (who are toddlers). She said “something girly like butterflies” and “any animal” so I ended up with a pink and purple butterfly for the girl and a lion for the boy. This part is what took the most amount of time out of everything. It wasn’t difficult, just time consuming with lots of tiny parts to cut out and arrange. The past 3 months have been both harder and easier than the first 3. On the one hand, looking back on our first 3 months with Caelan (most of which I spent at home with him on maternity leave) it seems like it was so easy. For the first 6 weeks, he was up every 3 hours to eat, then he fell back asleep. That’s all he did. 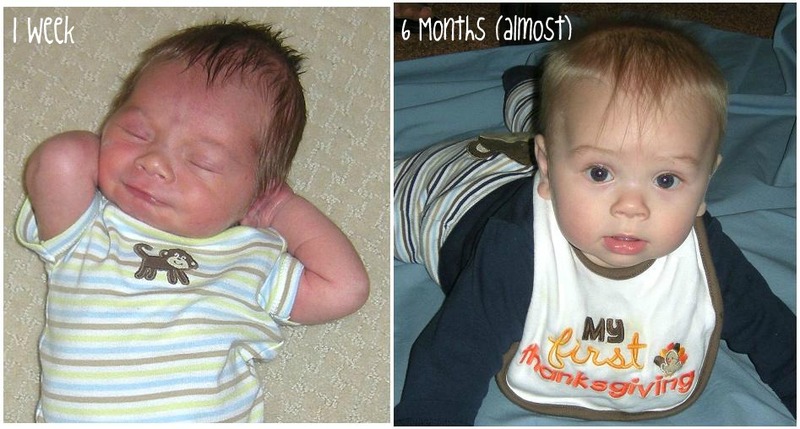 At 6 weeks he started sleeping 6 hour stretches and by 8 weeks he was sleeping 8 hours a night. My memories of this time are so vague, even now only a few months removed from it. 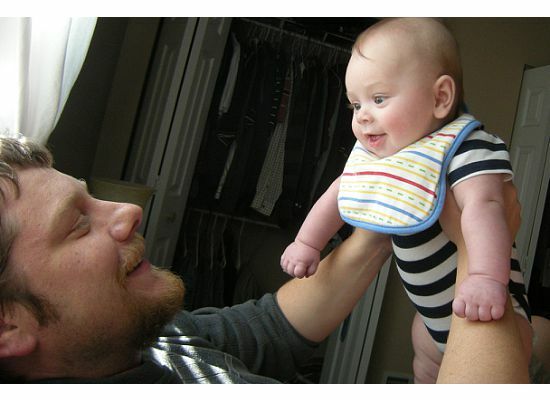 I do remember him not being a very good napper, but I don’t remember him being particularly fussy. I know there were frustrating times, and we had a general feeling of we-have-no-idea-what-we’re-doing, but we got through. The transition back to work for me and to daycare for Caelan was relatively smooth. The first week was hectic and stressful for me trying to figure out how to get everything I needed to get done in a day done in the short evenings, but by the second week things fell into place and we all got into a routine. It was the third week (when Caelan was 3 months old) that things started to go downhill. He up and decided one night that he didn’t want to sleep unless one of us was holding him. That was the beginning of his “sleep regression” and the next couple months we had a lot of ups and downs. He went through phases where he slept well in the crib, phases where he only slept in the swing, and phases where we desperately brought him to sleep in our bed with us since it was the only way we could get him to sleep at all. That’s something I never thought I’d do/wanted to do – have him sleep in our bed. Never say never. There was one rough night where I was up with Caelan multiple times and when I woke up in the morning and went in to get him out of his crib, he wasn’t in there. I had a split second of panic wondering where I had finally ended up putting him down and I looked over to find him sleeping soundly in the swing. Zombie parenting. Being a working mom is really hard – there’s no way around that. I have to get up in the morning and go to work regardless of whether I got any reasonable amount of sleep the night before. Though I didn’t drink any coffee for most of my pregnancy, I definitely have resumed my coffee habits now!! But usually I do get a reasonable amount of sleep and I do like the structure to my day that working provides, so it’s a good fit for our family. Caelan also began his career as a petri dish – constantly bringing germs into the house for everyone to share. There was a bout of Hand Foot and Mouth disease, a few colds, and a double ear infection the week of Thanksgiving. I’m sure there is no end in sight, but we are hoping he’s building up a nice strong immune system! Despite the sleep issues and the health issues, a lot of exciting things have happened in the past few months. Caelan can now roll over both ways and is happy to squirm around on the floor with his new-found mobility. He’s able to rotate in a circle (pivot!) and move backwards. He’s almost figured out how to army crawl and he’s getting increasingly frustrated that he’s not able to move forward despite furious kicking. He’s working hard to sit up unassisted and he’s getting pretty close. He laughs and babbles away and he happily sits in his highchair to eat cereal and purees (carrots are the early favorite). He even got his first 2 teeth when he was just shy of 5 months old. You are currently browsing the Decorate This blog archives for December, 2011.